I have a few more pictures from Sydney...some random stuff. This next one is a shot of the inside of the Strand. 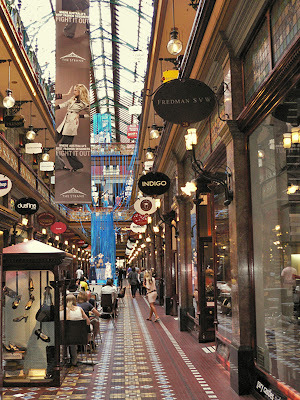 It is a little mall in Sydney's CBD. You could spent all day shopping in this area. 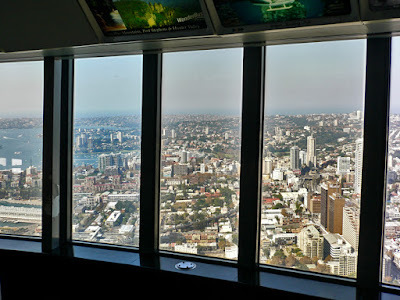 Here's another shot from the Sydney Tower. 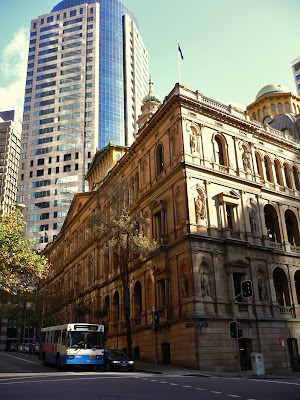 This is part of Sydney from street level. This was taken on one of my many walks...best way to get around in Sydney. 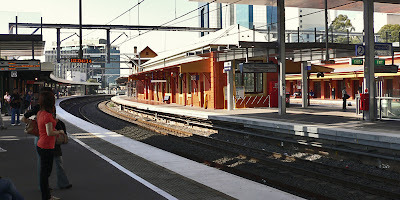 These may be the last images of Sydney I'll be posting.